Gratitude is feeling joy for something. Feeling joy for something should compel you to be grateful for that which brings you joy, but it’s important to remember that joy is not only in the big things. It is also found in the smallest of things like a smile, or hug or in the western world, things we take for granted like fresh food and clean water. 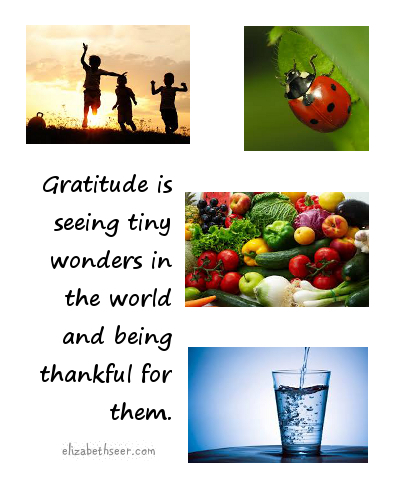 attitude of gratitude, gratitude, gratitude exercise, gratitude habit, live in gratitude, power of gratitude, respect. Bookmark.